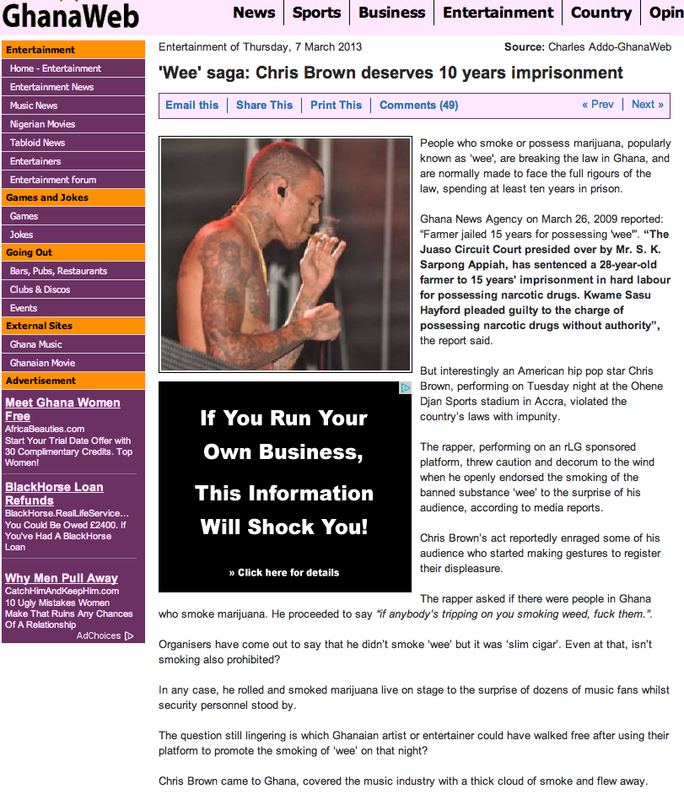 Have you read or heard the News surrounding Chris Brown’s stage ganja smoking mayhem? Well if not, here we go. Now lets talk about the money! $1millon? For what? Artists are paid so much to perform in foreign countries but let face it, they come on stage and perform just 3 to 5 songs. Or better yet 20 to 30mins max! Plus have you seen the state of people and economic in Ghana? 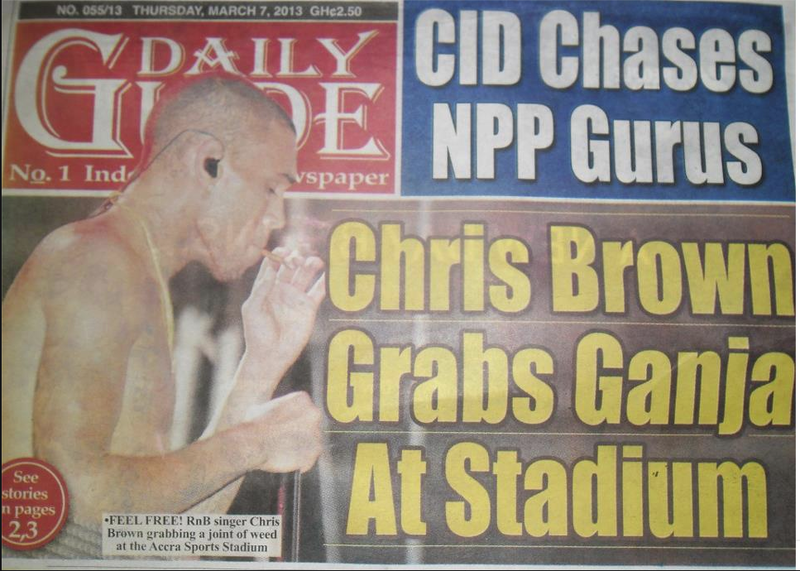 That money would have done a lot of better things in the country than Chris Brown coming to perform. 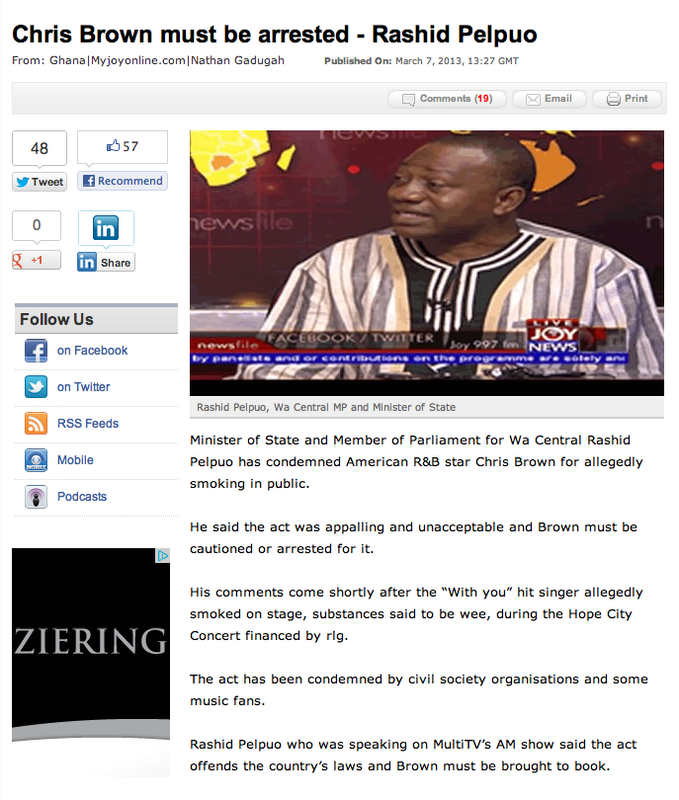 And then disrespecting the constitution and people of Ghana by smoking wee on stage. I don’t know where you might be reading this from. But I just want your opinion on this story. Weigh in!! You might not agree with me and thats fine. The following are Headlines he’s making in Ghana. 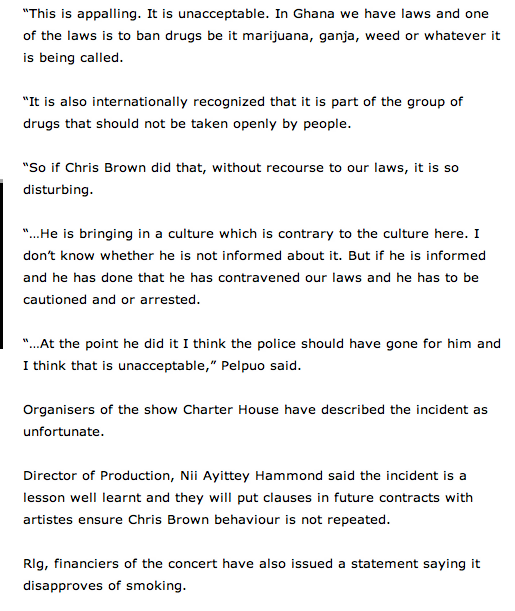 People didn’t take his actions lightly. Next Post AFRICA MAGIC VIEWERS CHOICE AWARD..